Thoughtful subjects related to IT operations from a local and / or global perspective. Summary of reports and analyzes from a local, Nordic perspective. Summary of reports and analyzes from a global, Nordic perspective. 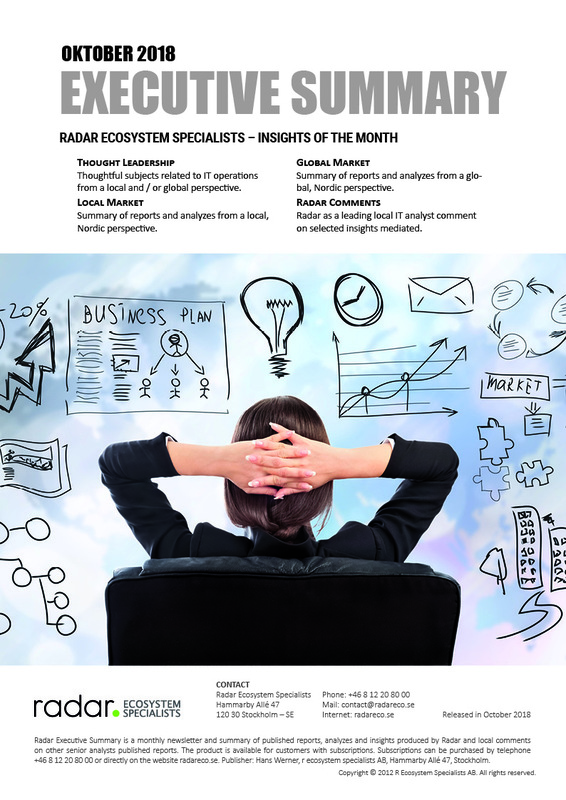 Radar as a leading local IT analyst comment on selected insights mediated by other leading analyst during the month.